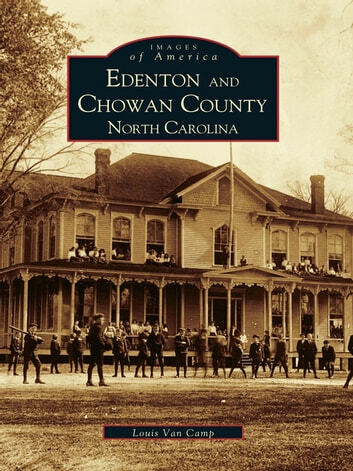 Conveniently located between three important waterways in Eastern North Carolina, Chowan County, along with its county seat of Edenton, is a remarkable community whose roots dig deeply into the 1600s when settlers arrived from Jamestown. The steadfast Perquimans River to the east, the rapidly flowing Chowan River to the west, and the serene Edenton Bay to the south have for centuries provided means of transportation, economic endeavors, and scenic views for citizens and visitors alike. By 1750, Edenton had blossomed into a distinctly rustic and bustling community, and these water canals had greatly contributed to the needs of the county's merchants, lawyers, carpenters, and plantation workers. 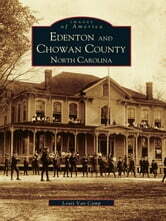 Edenton and Chowan County, North Carolina is an engaging pictorial history that celebrates early 20th-century lifestyles enjoyed by community members of the first unofficial colonial capital. Readers will visit ancestral plantations and the ancient labor of seine net fishing, while the Norfolk and Southern railcar-steamship John W. Garrett plies once again across the Albemarle Sound. Many of the area's earlier residents are brought to life, in word and image, while they work at the Edenton Peanut Company, the Edenton Cotton Mill, and many of the old stores that lined Main Street (now Broad Street).